From the very first day when you get to know that you are pregnant to the time of delivering of the baby can be both tough and exciting. Motherhood is the most beautiful moment for every woman and it comes with a bag full of responsibilities. The new mothers may feel overwhelmed and holding the baby becomes nearly irresistible. You believe it or not pregnancy is a special experience which grills you in a good manner and helps you to prepare yourself for the new phase of your life. 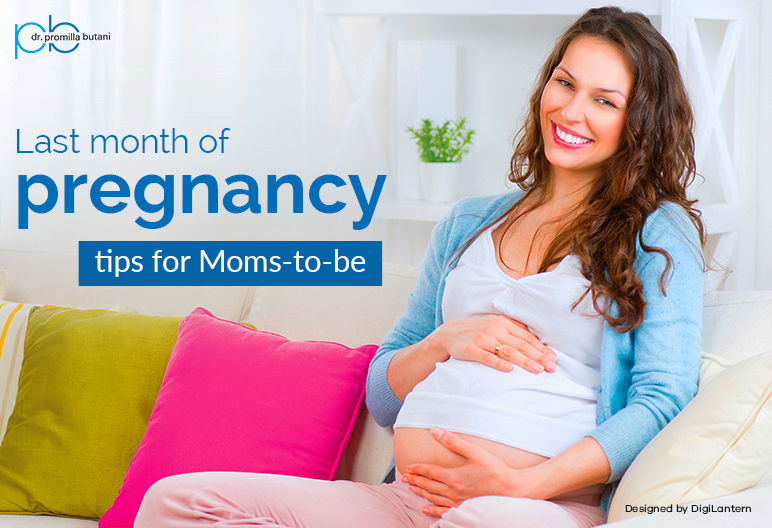 Here are a few tips for moms-to-be which can help them to stay healthy and strong during the last 30 days of Pregnancy. Taking rest is an essential element for moms-to-be because last month of pregnancy is very crucial. Take out time to sit at a place while releasing your tensions and focusing on all the positive vibes. Give your body the much-needed sleep it is craving at this time. If you are pregnant then you must follow some basic rules of pregnancy and one of the most important things is staying healthy during your cycle of pregnancy. Start taking care of yourself and the baby, avoid smoking, drinking, and unhealthy food choices. Consume healthy snacks which give more nutritional value and vitamins that can help ensure a safe & healthy environment. Maintaining a good health and staying active can help you to relieve stress, control your excess weight, and boost blood circulation. So, take a walk for 10-15 minutes every day. Yoga, walking, and light exercises are good activities for last month of Pregnancy. Last month of pregnancy is way too important and taking any wrong step can lead to many problems. Every mom should educate herself about the tricks and tips of pre and post pregnancy. Last 30 days are also good to brush up your family’s medical history and take precautions accordingly. When you are pregnant you not only eat for yourself but also for your baby. But too much extra weight might be difficult in the future to lose the weight and can also put the infant at risk during the development stage. Always check with your doctor to make sure that you are gaining a good health and do not intake any excess calories. During these last few weeks of pregnancy, you’re probably not feeling at your best, so do a little something to give yourself a lift. Go get a good haircut. Enjoy a pedicure. Drive to the park and sit outside in the sunshine and read a good book or your favorite magazine. So, if you are in the last month of pregnancy and haven’t planned anything related to your pregnancy then start with these simple tips and stay healthy and happy. For more inquiries contact a paediatrician near you or book an appointment with Dr. Promilla Butani.